Does it have anything to do with the weather I hear you say? Not quite, as January is the middle of winter so you can bet your life it will be wet and windy most days. And what a wet and windy week we've had so far with Storm Eleanor truly battering many parts of the UK and Europe. Yes, that's right. Dry January is that abstaining from alcohol thingy that humans do after the crazy overindulgences of Christmas. Mum: You make me sound like an alcoholic, Athena. But yes, I am totally into taking part this year and I am pleased to say that today is my 6th day sober! Mum: OK, here is a deeply honest post about my own relationship with alcohol. Sorry if it is a bit long and too deep for a cat blog. But I think it's important to share in order to help others going through similar issues. Oh, and you can laugh at this selfie of me with Athena, which is from a few years back. Dry January is an annual campaign that sees millions of people signing up to abstain from alcohol throughout the whole of January. 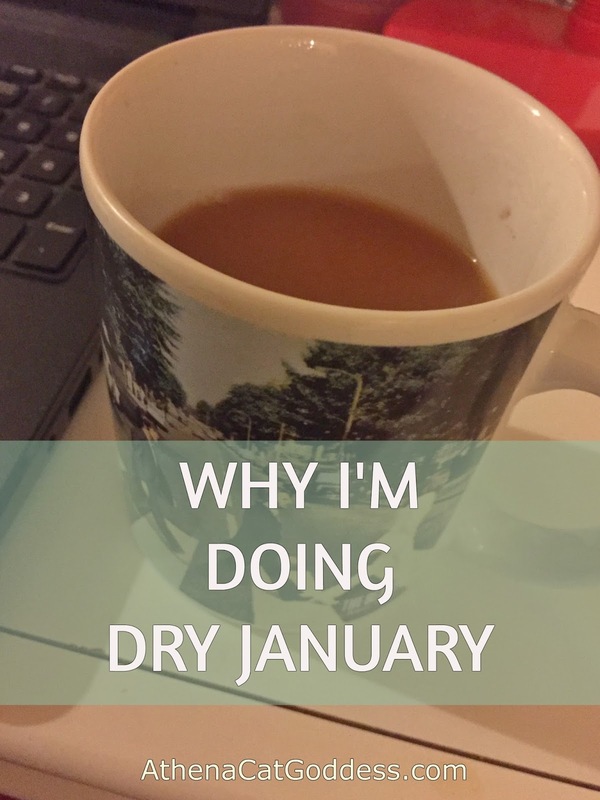 WHY AM I PARTICIPATING IN DRY JANUARY? 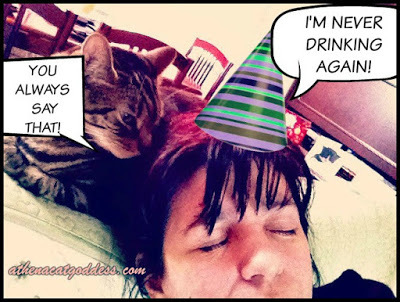 If you've read my memoir The Cat Years: How My Cat Soulmates Saved Me you will know I once had a big problem with alcohol. I wasn't a drunk in the gutter drunk but if I had not stopped then who knows where I would have ended up? For me, it's the reliance I have always had with it that kept me trapped in the negative thinking that alcohol was a friend that could help me get through anything in life. An introvert by nature and always socially anxious, drinking helped me come out of my shy Cancerian shell a bit. Also prone to depression since my teens, I wrongly thought alcohol would make me happier, so every time I got depressed I felt that the only way to get through it was to drink. I did this for about 5 years - drinking every day and partying hard at the weekend (yeah me, the shy girl that has always been happier in my own little world). In the end, it was my dear beloved cat Suzy dying in 1998 that changed all that. I don't know what happened but I truly believe she helped me from the other side because for some reason I didn't want to drink anymore. I wanted to get better and sober. I was too young to let the poison that is alcohol destroy my life. But I soon began to miss having a drink to relax after a stressful day and thought I'd only drink in moderation. And it worked. For a while. I still can't believe how I managed to keep my drinking to a minimum through some traumatic times - like my dad's liver transplant and my brother's major ear operation that lasted 10 hours and which left him deaf in one ear. More depression followed, along with anxiety, panic attacks and through all that I was studying hard for a degree in Literature. I got through all that drinking normally. After my dad passed away from liver cancer in 2010, I swore I would never drink again and focused on my dream of becoming a published author. When that didn't happen I decided to self-publish. But slowly, slowly, the drinking crept up on me again. By the time I self-published my books the market had become over-saturated - everyone suddenly wrote and published books and it did not matter that I spent over a decade researching and writing my precious vampire trilogy or my semi-autobiographical novel. No one cared. And why should they with so many books and authors to choose from? My failed writing career (I had dreamed of being a writer since like forever) exacerbated my reliance on alcohol. 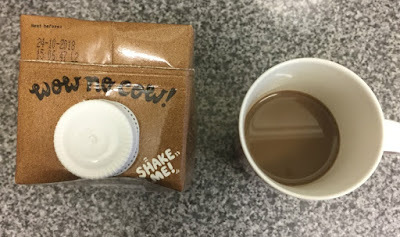 I drank to reduce the anxiety and to help me forget the pain of being a failure in almost everything I have ever done. Yes, I know there are worse problems, but it had been my dream for so long and I was unemployed (or depression had made me unemployable) that I wanted to make a living doing something I loved. This time around I only drank wine. White mostly - my favourite being Chardonnay. Throughout the heavier drinking days of my youth, I used to down vodka, brandy (often starting the day with brandy in my coffee), whiskey (the thought of it now makes me want to puke), Southern Comfort (yuck) and even beer (which I absolutely hate). I do have quite an addictive personality. It runs in my family. My dad was a gambling addict and yes, he later became an alcoholic, got cirrhosis of the liver and so he needed a liver transplant. Seeing him suffer should have been enough to put me off drinking for life. Alcohol is an addictive drug. Some can handle it and drink in moderation. But I know I can't. I just can't stop at two drinks anymore. Once it enters my system I just want more and more. I have noticed that. And if I don't stop now I will return to my old ways. Now is the time to STOP. So now I've been sober for 6 days and I already feel better. I feel lighter, have more energy, and am not stressing out so much even though I am still worried about the same problems that made me drink in the first place. I do have a lot of problems. But drinking doesn't help. It's better to face those problems head-on - and SOBER! Apart from drinking 3 cups of coffee a day and taking Athena's advice to drink lots of water, this is what I am also drinking to keep me going. 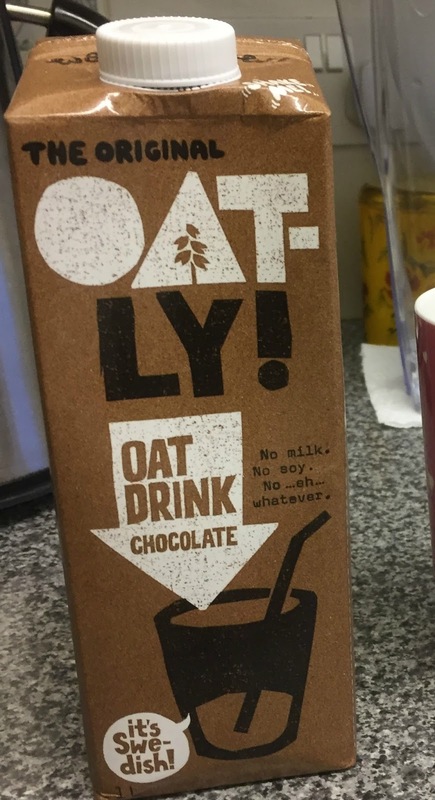 I am a chocoholic and so I love this chocolate Oatly Healthy Oat Drink both cold from the fridge, and when it's freezing outside, I like to pop it in the microwave and heat it up in my Crazy Cat Lady Latte Mug to make a lovely hot chocolate drink. 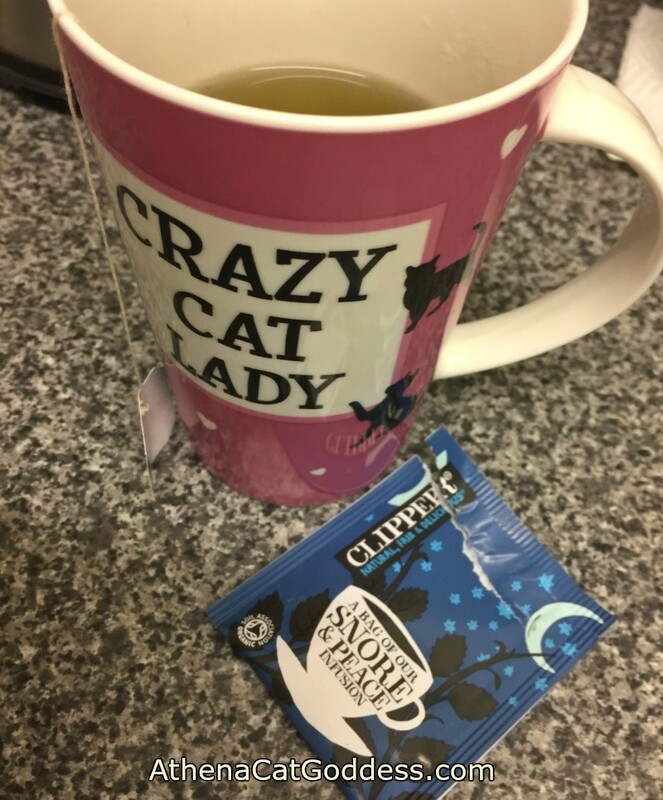 To sleep at night I enjoy a cup of Clipper - Snore & Peace and I occasionally have a cup during the day too so I can take time out to nap with Athena. Here is my progress so far as of yesterday (6th January) using the app. Keep track and motivated with the excellent Dry January app. ARE YOU STRUGGLING TO QUIT DRINKING? Here are a couple of books I can recommend which I've read lately and they've really helped me look at alcohol in a whole different way. 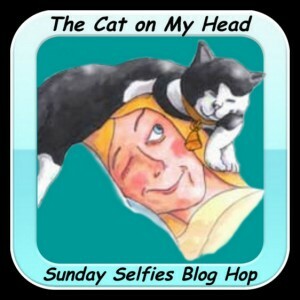 THE CAT ON MY HEAD's SUNDAY SELFIE BLOG HOP. Good for you Marie! I don't drink and I am a friend of Bill Ws. Yes, the disease of addiction runs in my family too. It was tough when I was out there and I am finding life is much easier now. My serenity has improved as has my happiness and I can cope much better with my depression. Rock on and I am on your team! Good for you! My human's boyfriend is a sober alcoholic - in fact, if everything goes as it should, he will celebrate 20 years sober in April! (His sobriety is no secret - he is happy to tell anyone and everyone about it.) As a result of being with him, my human knows a lot of people that have bad relationships with alcohol. She likes a split of champagne herself (about a glass and a half's worth), but she really dislikes drinking a lot because she gets hangovers pretty easily! So her body forces her to be a "normie" by design - she is very lucky! Good for you, Marie! I've never had much of a relationship with alcohol. I love wine but less than a glass makes me sleepy; beer gives me a headache; anything stronger I'd be afraid of what it would do! Purrayers and POTP for you ! I feel sure that beautiful Athena is helping you stay strong too ! That's a fine Mew Year's resolution! Mom seldom drinks and doesn't like chocolate, but she does have a terrible sweet tooth. Put a bag of candy in front of her and it is a gonner! MOL! Sending purrs of strength to you, Marie! I have many families who were jerks to housewreckers with their drinking, totally accepted because that's how things were then, my parents for some time, and my brother fought it all his life. I thought I was one of them when I was younger and discovered I was really just being a fool, and so glad I don't have to fight that battle, but it was really my first black cat who reinforced my sobriety for me. Happy January, and may it go to all the months of the year. Good for you! 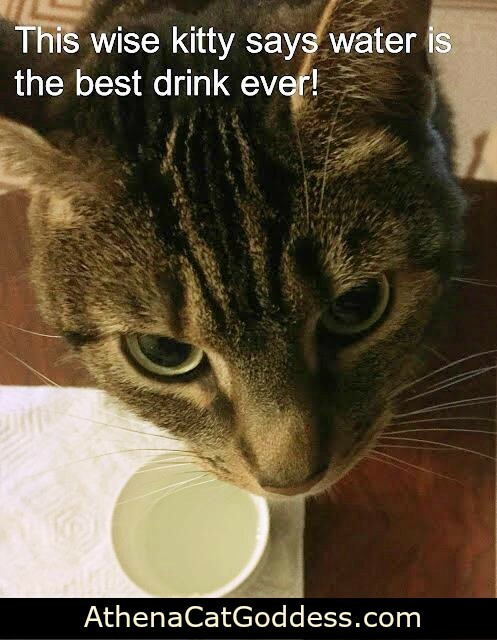 My momma luvs her daily cocktail, but she understands some people can be dependent on it, and dat are never good - so way to go! We love your selfie, Athena. And that is so awesome that you're doing Dry January, Mum Marie. Keep on keeping on. You have our purrs, prayers and support! Both me and TW don't drink enough water. TW's dad was an alcoholic and it ruined her life. She knows she inherited the addictive personality gene from him so she doesn't drink practically at all. Excellent post and no truer words spoken in support of giving up and staying sober. We knows the problems well and hope others will follow suit and give it up too. Really great post and very important information! It's hard to post about 'real' stuff, but depression and alchoholism are not fun places to be. I thought I was depressed because of the drinking, so I quit. Well, it wasn't the booze, I soon discovered! And Winter is so hard, being cooped up inside so much. Keep your spirits up! The one good thing I can share is that I am now 31 years & 1 month sober/clean & sane! I did it one day at a time. I needed AA & NA & counselling...a long long road but the road I'd been on since 15 was even longer ;) I never regretted getting sober/clean. Even tho' I might never achieve my dream at elast I can face life w/out self medicating.....just for today! P.S.S. : Your selfies are wonderful. Thanks Summer,and well done to your human's boyfriend for being 20 years sober! Keep up the fight, and the hard work at abstaining from alcohol. I wish I could give up chocolate but I need a replacement sugar fix after giving up the booze! Not too crazy about candy (we call them sweets here in UK) but I love my chocolate (though it has to be vegan for me now). Thank you, Bernadette. Cats are just amazing little healers. Yes, I was getting too dependent and I don't want to revert to my old ways so it has to stop. Life is just too hard but I know now that trying to escape with alcohol doesn't really help at all. Best to face my fears and problems. Thanks for sharing your story, Sherri-Ellen. I'm so sorry you had to go through all that. Well done on getting sober! You have the power to conquer your will, we know you can do it. Our Dad is a chocoholic too and besides helping kitties his mission is to free the world from any unwanted chocolate! Hugs from all of us, we're cheering you on. My dad was a big drinker and it did the family plenty of harm, so we tend to be more careful around it. Wine we like but would opt for a coffee any way. Alcohol and cigarettes and gambling all do harm and reading this means more people will know there are positive options! Best of luck with your dry January. One day at a time.